All free clip art images and clip art pictures can be downloaded very easily. Check out our clip art categories below. We have many free graphics like dog clip art, tree clip art, flower clip art, clip art borders and Christmas clip art. Please visit again and enjoy your free clip art images and graphics. Our free clip art categories are listed below. After clicking the link to one of our free graphics categories, you will find small views of the clip art images within that particular clip art category. Simply left click or tap for a larger view and right click or touch and hold to save the clip art image as a file or to copy. There is also a link to see a larger view of the clip art picture and that link also will allow you to copy and/or download that particular clip art image. No templates or any other programs are needed to get your free clip art images. For more information on viewing and copying your free clip art graphics, click Viewing Tips. Enjoy your free graphics! Select a category below to view and copy your free clip art. Our Valentine clip art category contains 26 free Valentine's Day graphics. The Valentine clip art selections include images of Valentine candy, Valentine roses, Valentine hearts, clip art images of a single Valentines heart, Valentine balloon hearts and Cupid & Arrows. Enjoy your free downloadable Valentine clip art. We have over 500 animated gif images in our animated free clip art images collection. All of our animated clip art is arranged into eight categories. The categories are as follows: Animals, People, Nature, Food, Sports, Scary, Christmas and Miscellaneous. All animated gifs are free and can be copied or downloaded. Simply use your right mouse button to click any free animated clip art image to copy or save as a file. Enjoy your free animated gif images. We have over 100 dog clip art images. These include graphics with at least one of the following types of dogs: collie, poodle, basset hound, boxer, bulldog, doberman, labrador, greyhound, whippit, dalmation and chihuahua. 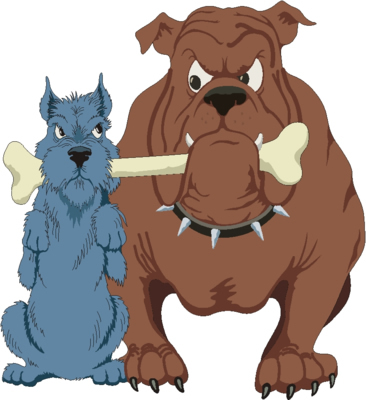 There are also other dog breeds as well as cartoon dog images. Select this category for our dog clip art images. There are over 100 tree clip art images in this category. There are a few palm tree clip art images, a weeping willow sillhouette, evergreen varieties and various other tree clip art, some with leaves and some without leaves. Also are a few images of just branches and leaves. 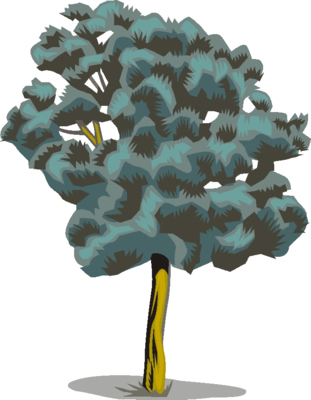 For tree clip art, slect this category. We have 200 flower clip art images in this category. These include graphics with at least one of the following types of flowers: rose, sunflower, daisy, lily, carnation, daffodil. There are also other flower varieties as well as ornamental border type flower arrangement images and other spring flower clip art. 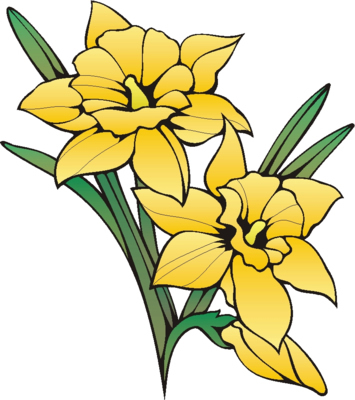 Enjoy your free flower clip art images. Clip Art Borders includes three pages of full sheet size printable borders. Simply click the small clip art border graphic to get a full 8-1/2 x 11 sheet size border graphic. You can print the border using your browser and then re-print your letter or other project on the border sheet. You can also copy or save the border for future use. Select this category for your free clip art borders. Our Christmas clip art category contains over 75 free Christmas Holiday graphics. The Christmas clip art selections include angels, Christmas bells, Christmas candles, candy canes, Christmas carolers, cookies and milk for Santa, gifts, a gingerbread house, holly branches, Christmas lights, mistletoe, nutcrackers, Christmas ornaments, reindeer, Santa Claus, snowmen, Christmas trees and Christmas stockings. Enjoy your free Christmas clip art. How to view an image. To view any free clip art images, simply select a clip art category above. You will go to page one of that particular category. Scroll down to view the smaller clip art images. To see the larger size, click or tap the small image or the link below the small image. How to copy an image. Each free clip art image is available in two sizes, except for the animated gifs. To copy or save the small clip art, simply click on the graphic with your right mouse button or touch and hold if you have a touch device. On the menu that pops up, select save picture as to save the file to a location on your computer or select copy to copy the image to your clipboard to paste into another application. To copy or save the larger size clip art, use your left mouse button, or tap, to click on the small image or click on the link below the image and a new box or tab will appear with the larger image. Then you can use the same procedure described above making a selection on the menu. You can also use your browser controls to save, copy and print.